If you live in Frisco, you not only lost an hour of sleep but gained tougher water restrictions. Under the city's Water Management Plan, outdoor watering is banned between 5 a.m. and 8 a.m. and 10 a.m. to 6 p.m. during Daylight Saving Time, which ends Nov. 4. The outdoor watering ban is in addition to the Stage 3 Water Restrictions that Frisco started operating under on Nov. 1, 2011. Under Stage 3, people in Frisco can only water on their trash collection day if necessary. Recently, Frisco sent a letter to "high use" water customers. 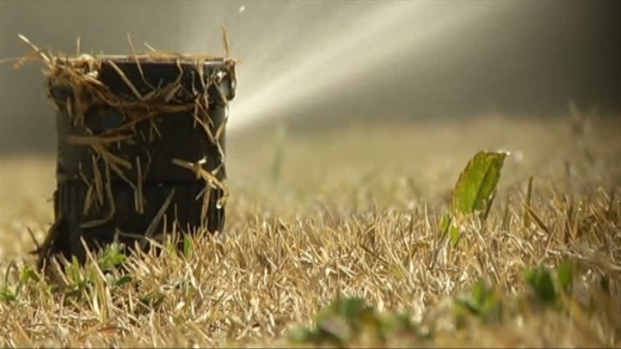 Daylight Savings triggers a change in watering restrictions for Frisco residents. Frisco is part of the North Texas Municipal Water District, which began Stage 3 Water Restrictions because of a lack of rain and an inability to pump water from Lake Texoma due to an infestation of zebra mussels.